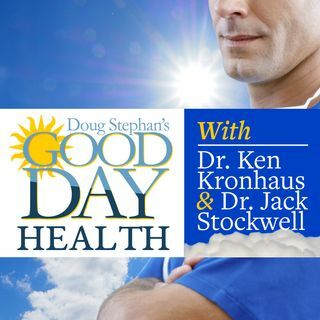 Dr. Ken Kronhaus and Host Doug Stephan start with an informative discussion about food labeling and which preservatives you should absolutely avoid. Next, we learn about the Okinawa Diet. Dr. Ken warns about frequent use of recreational Marijuana and its relationship to Depression. Then, do you know that Blueberries are great for your Cardio-Vascular System and for lowering Blood Pressure? Plus, lots more information about maintaining your Good Health.